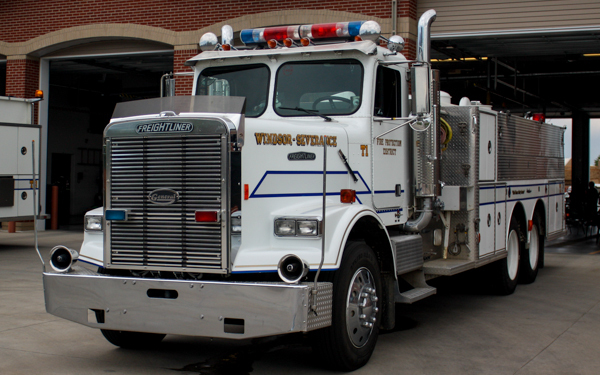 Fire Station 1 is located at 100 7th St.
(Engine 1) 2018 Spartan Gladiator / SVI (1044) 750 gallon water tank with foam (ProFoam). 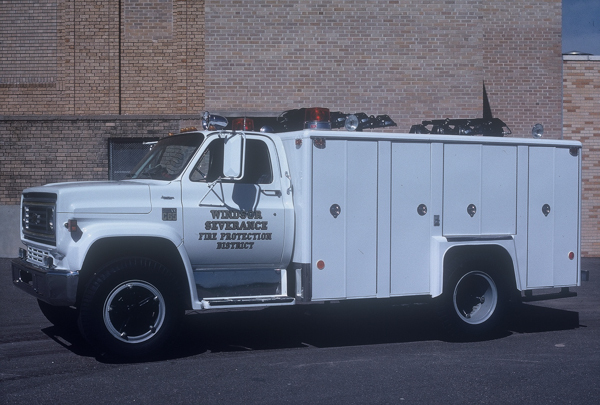 Ford F-Super Duty / Wheeled Coach. 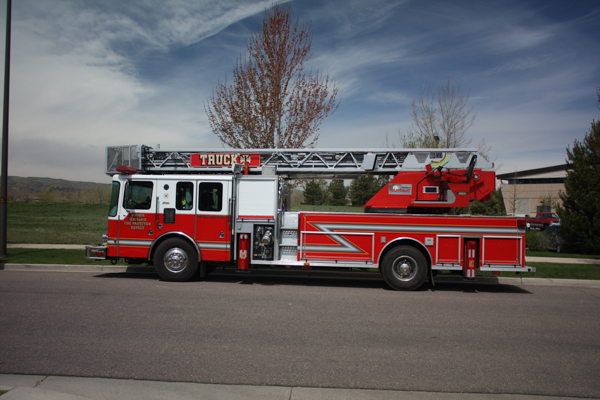 2015 Dodge 5500/ Frazer. 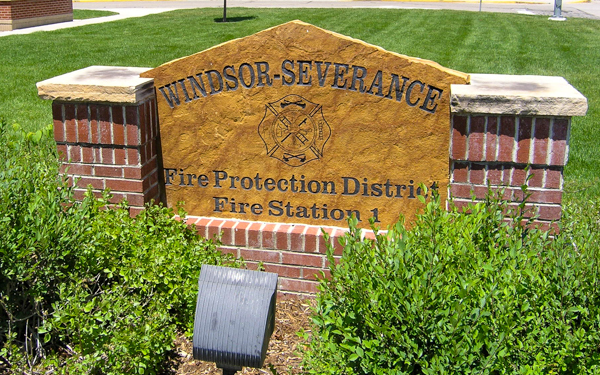 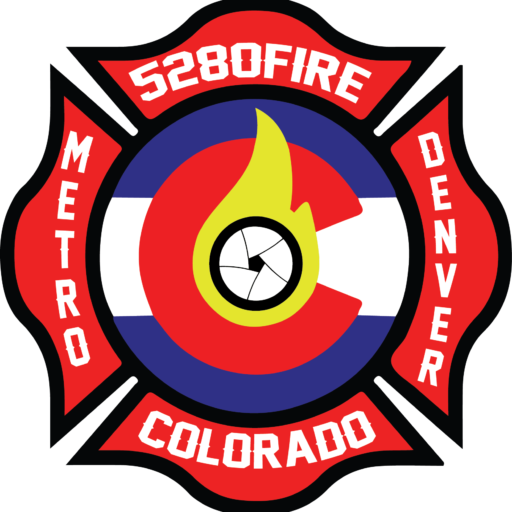 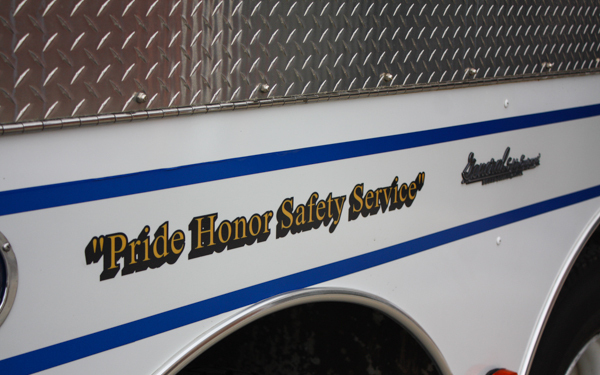 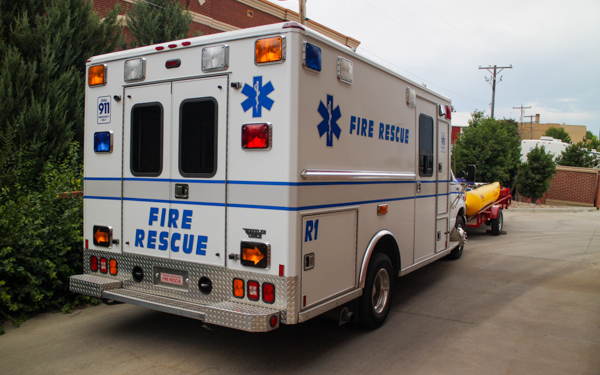 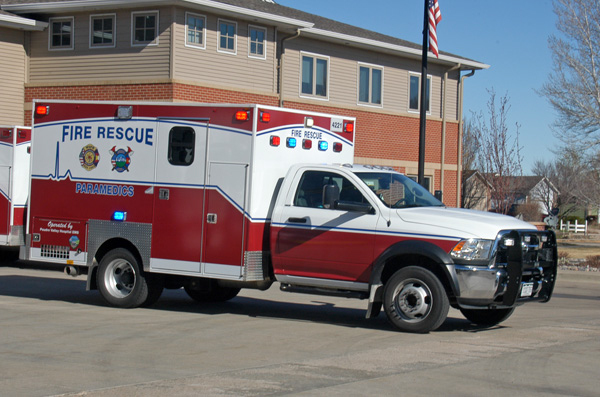 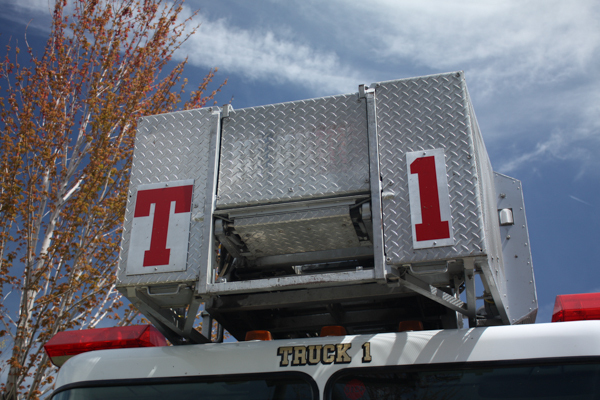 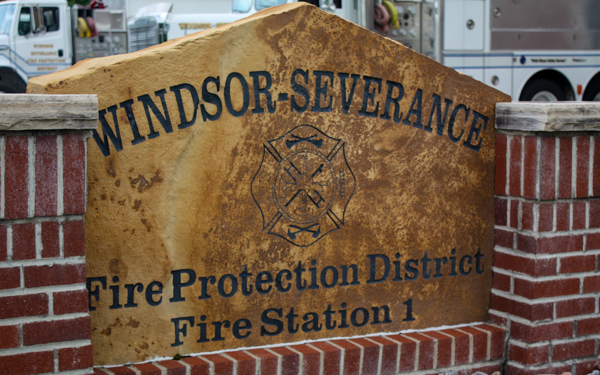 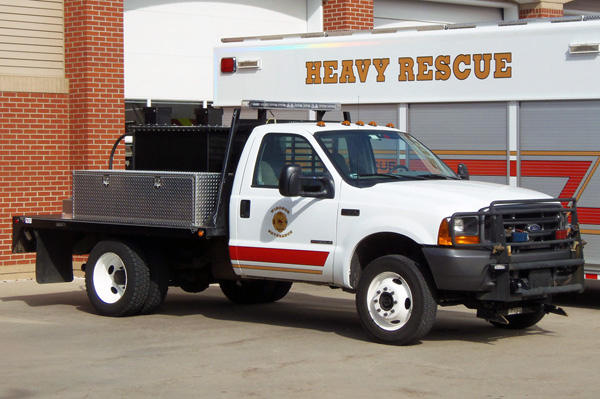 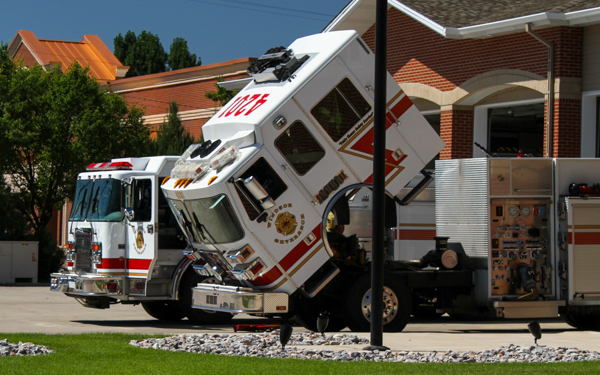 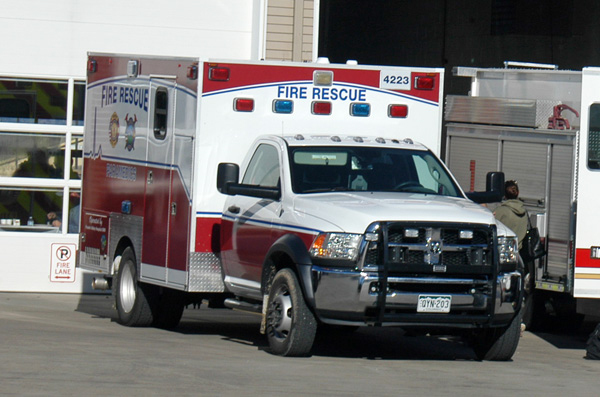 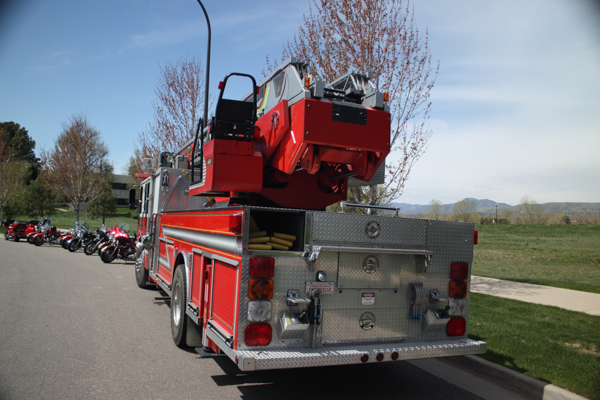 The district established an agreement with the Front Range Fire Protection District and University of Colorado Health (UCHealth) / Poudre Valley Hospital to provide EMS service and staffed with professional paramedic crews. 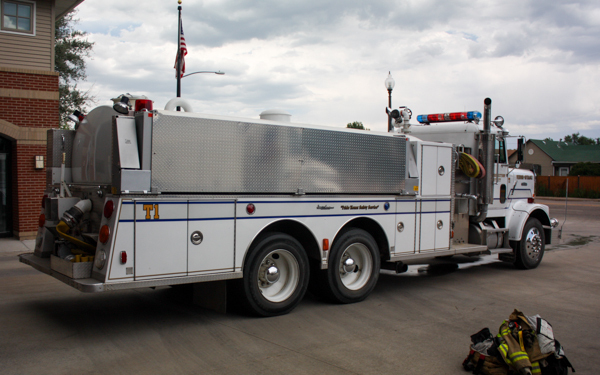 2016 Dodge 5500 / Frazer. 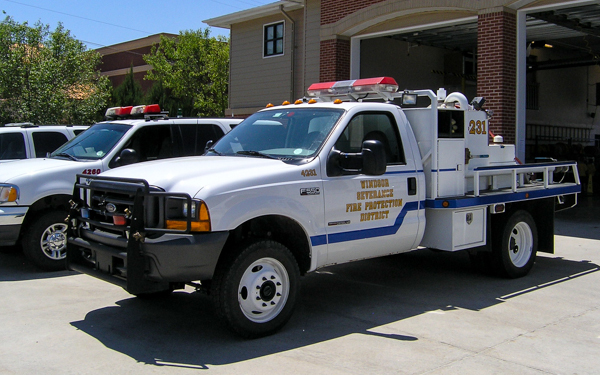 (Brush 1) 2000 Ford F-550 4×4. 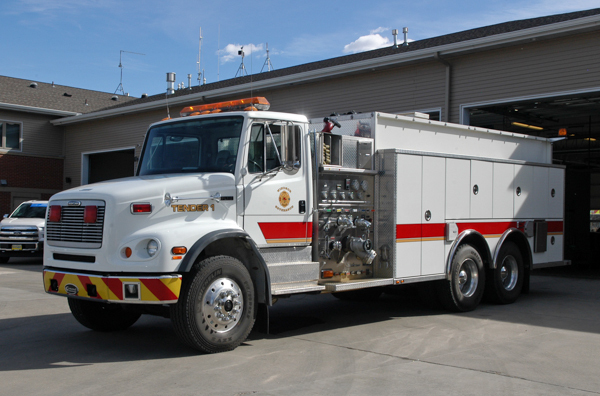 (Tender 1) Freightliner / General. 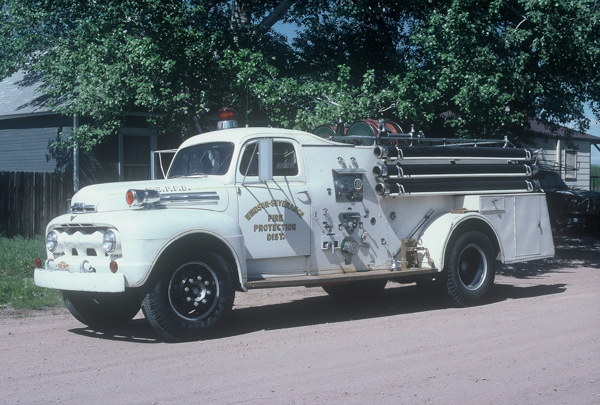 1951 Ford / Howe 500 gallon water tank / 500 gpm pump. 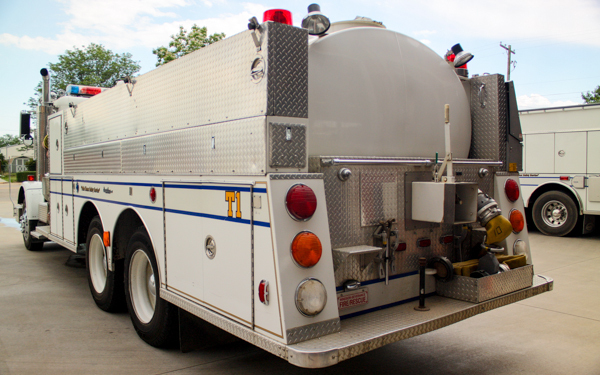 1971 International 1800 (Pumper-Tanker) 3000 gallon water tank / 300 gpm pump. 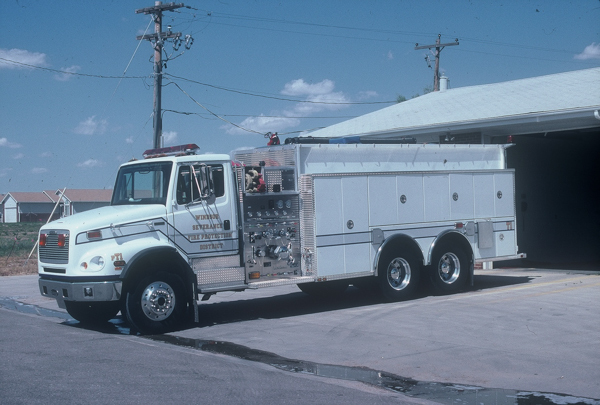 1979 Chevy C65 / SVI. 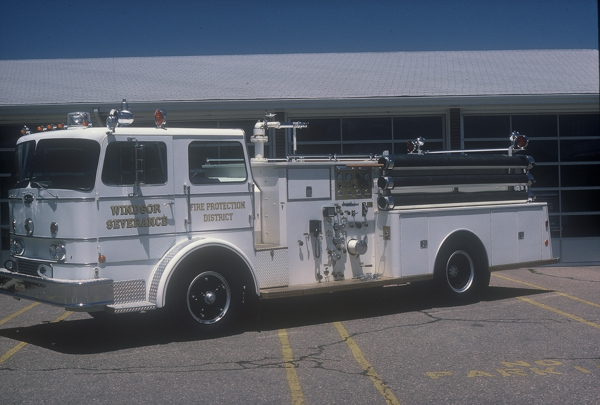 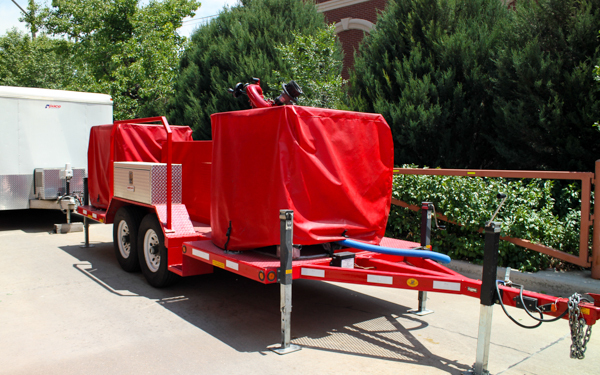 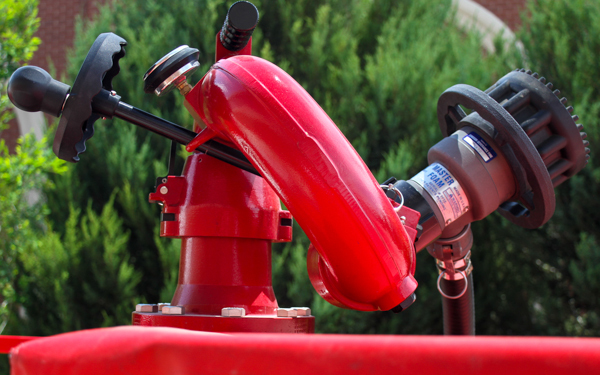 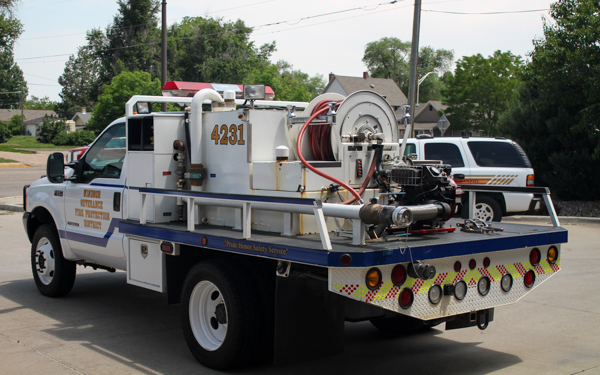 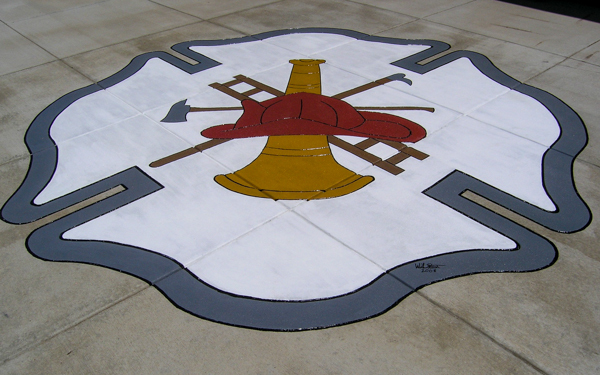 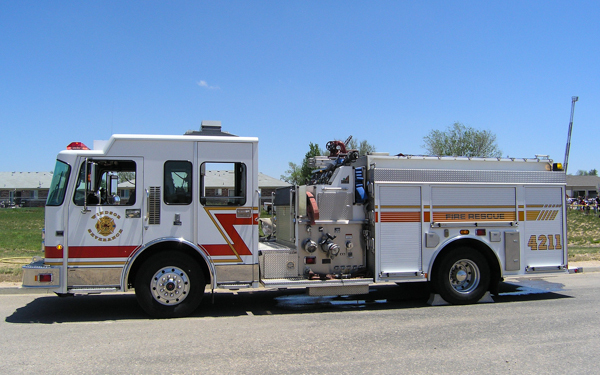 1983 Spartan / General Safety 750 gallon water tank / 1250 gpm pump. 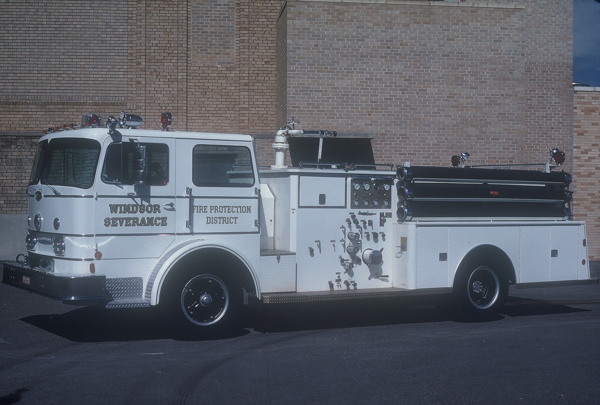 1971 International (CO8190) / General Safety 750 gallon water tank / 1000 gpm pump, also ran as Engine 3. 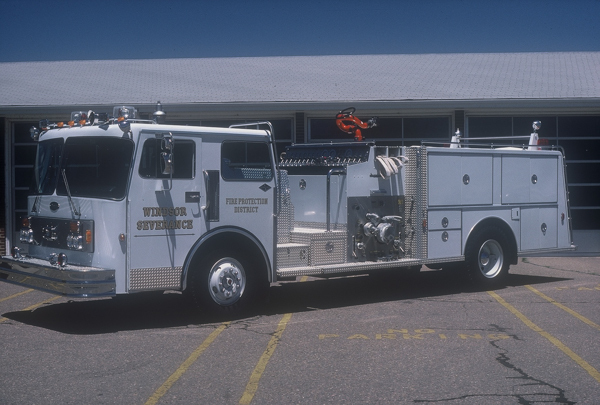 (Engine 1) 2005 Stuphen Monarch, shown here before the engine was refurbished and the older stripe. 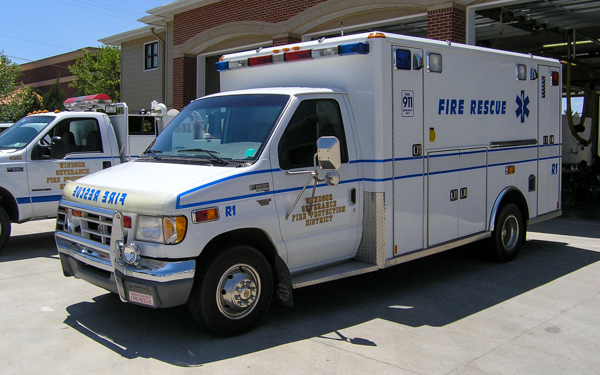 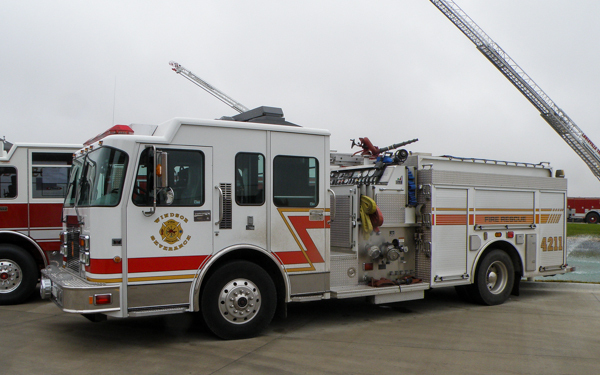 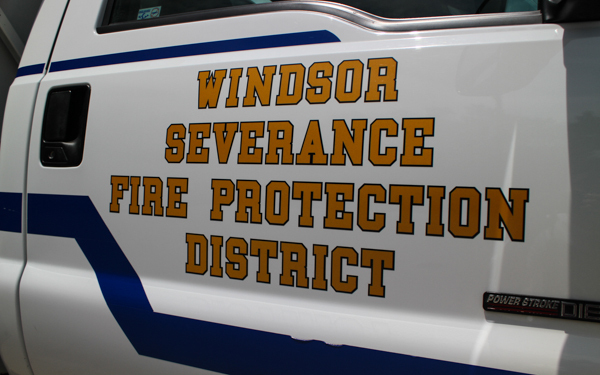 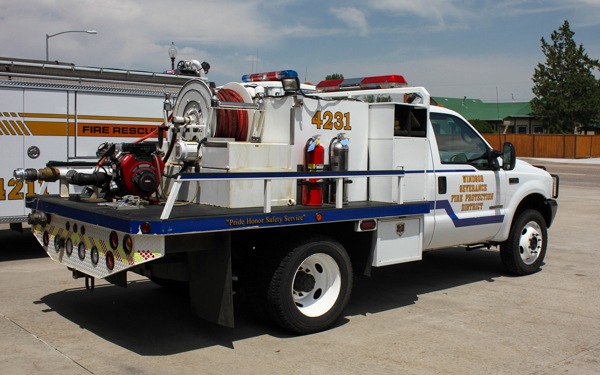 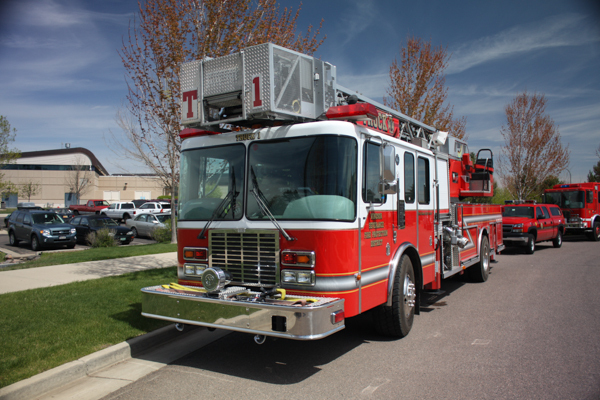 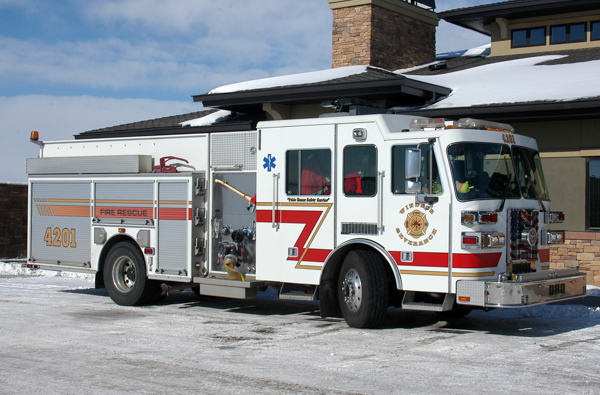 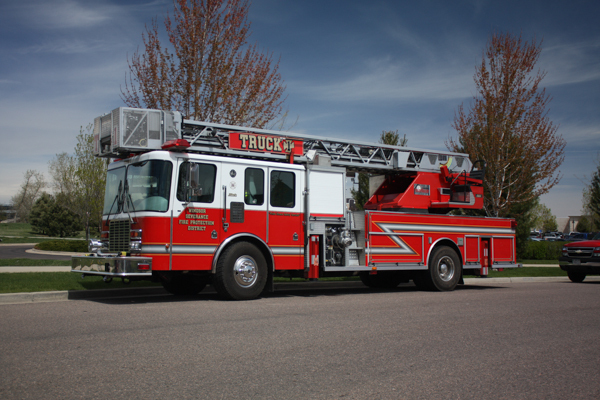 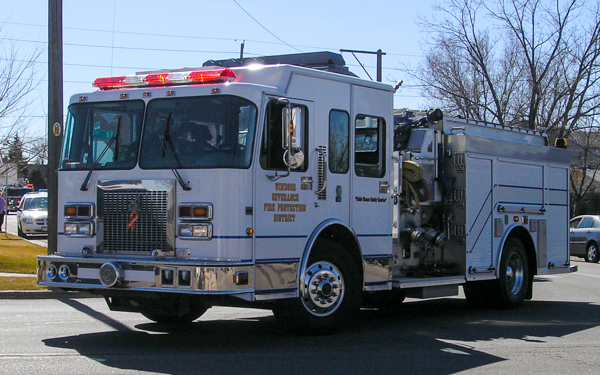 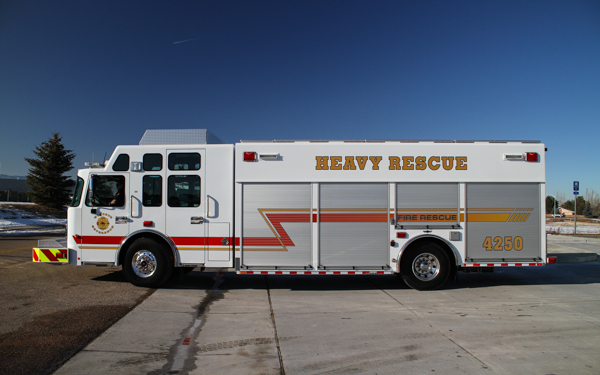 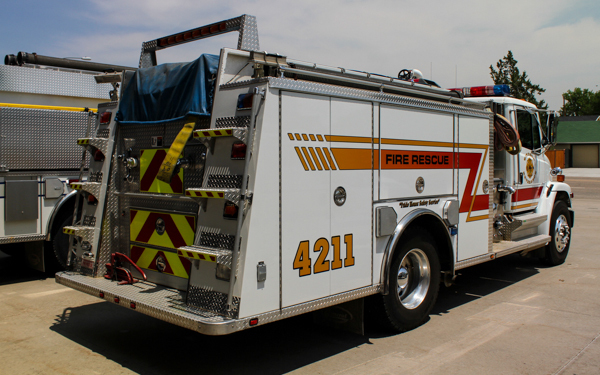 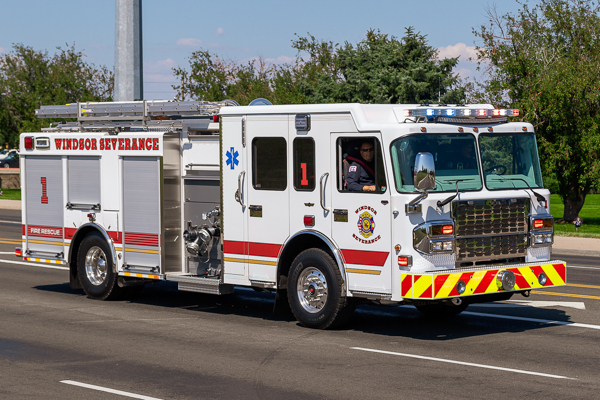 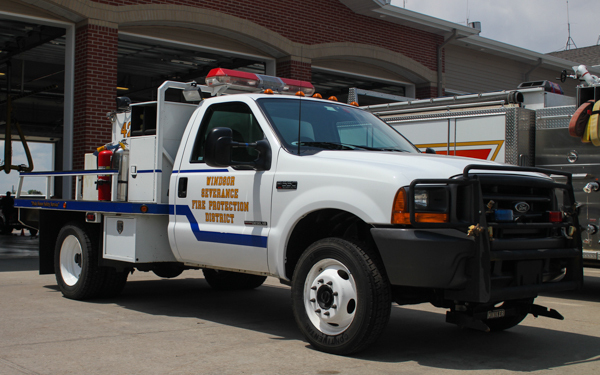 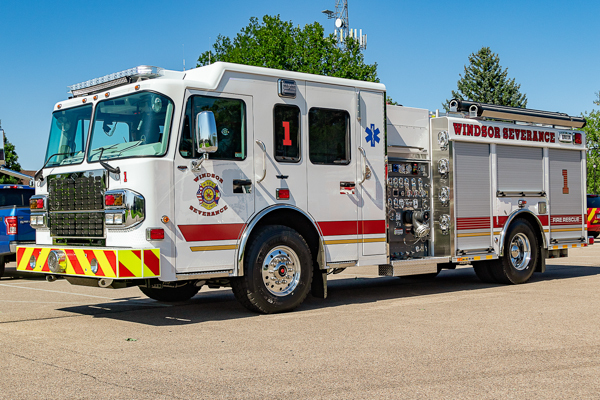 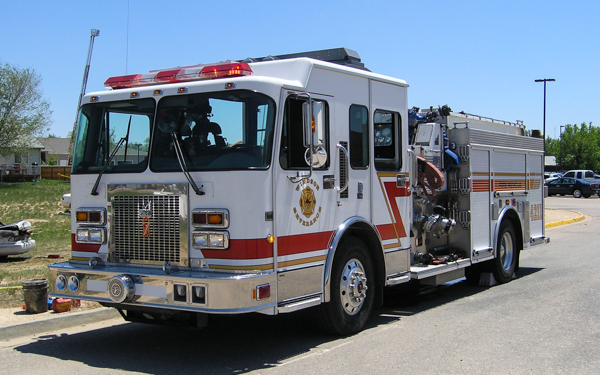 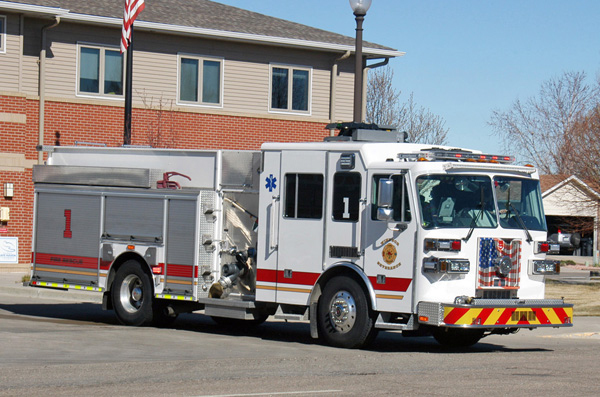 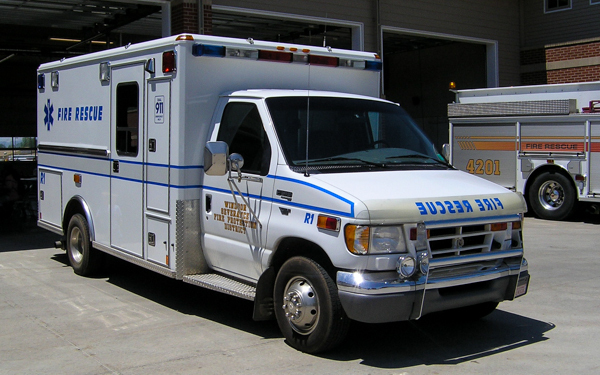 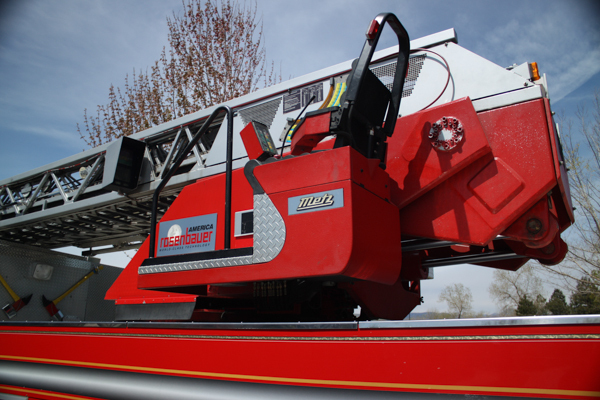 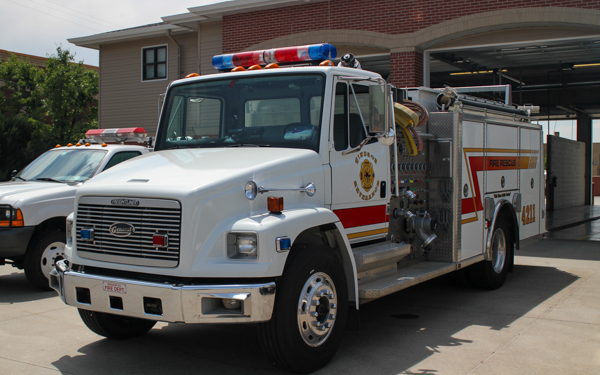 (Engine 1) 2005 Stuphen Monarch, shown here after the refurbished, with new lights and new graphics and currently running as a reserve. 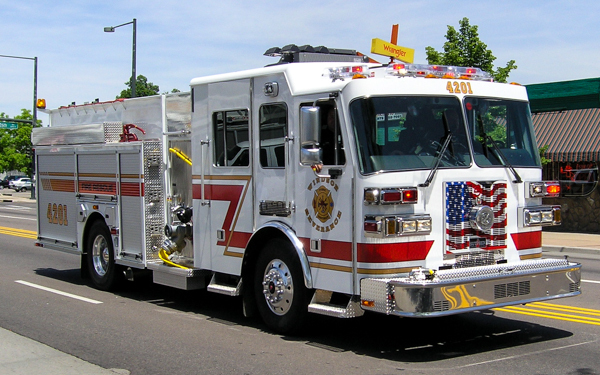 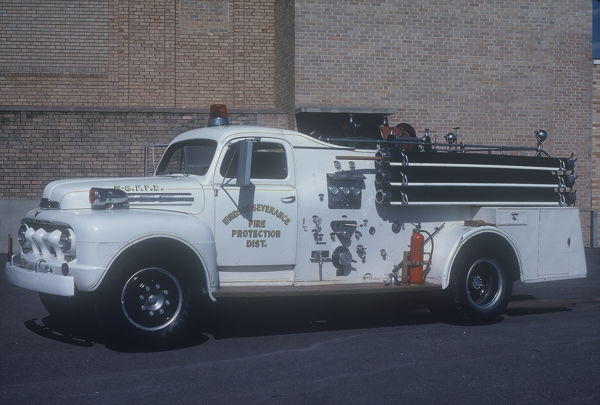 Spartan / Smeal, also ran as Engine 4202 & Engine 4211. 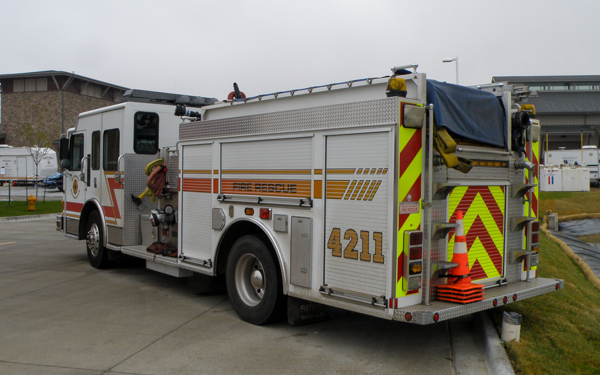 Spartan / Smeal, also ran as 4202 and currently running as Engine 4202. 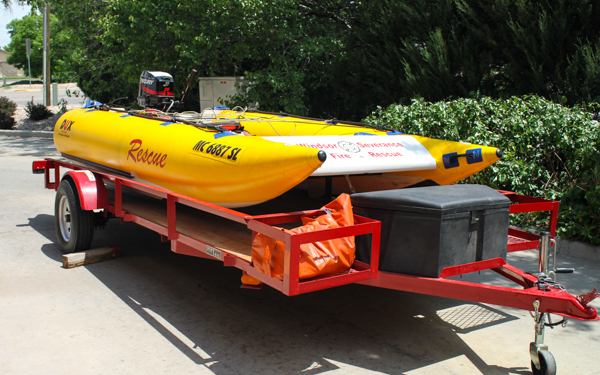 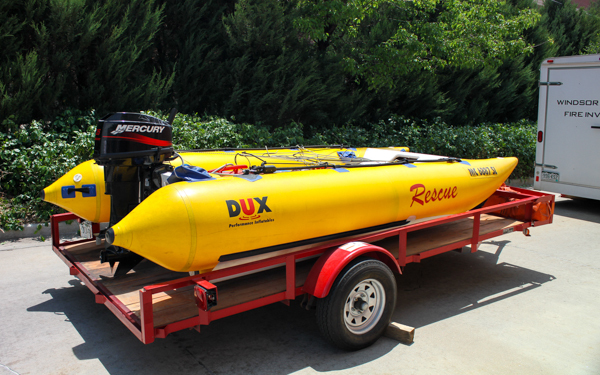 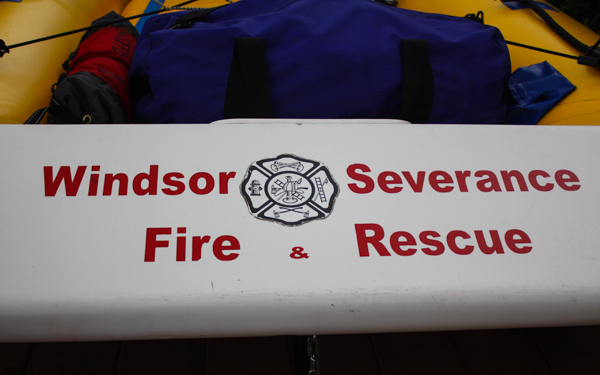 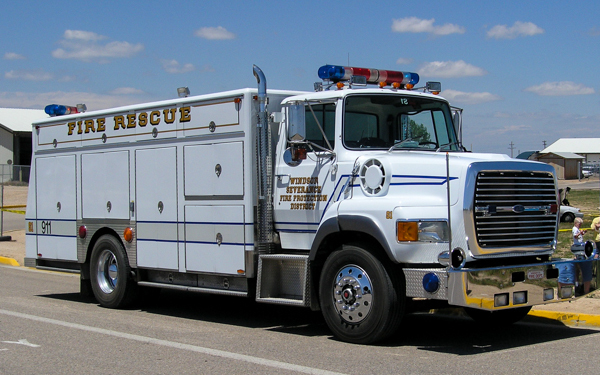 Spartan, currently running as Rescue 4223. 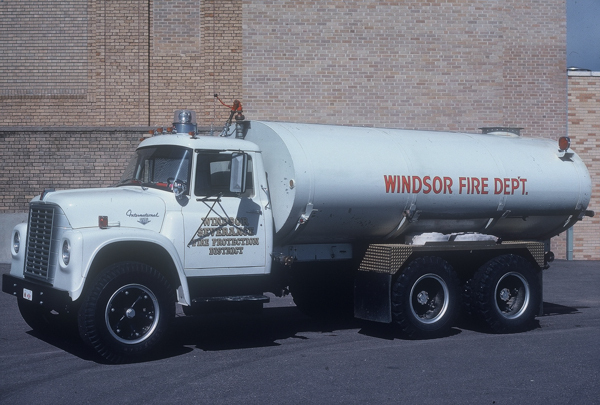 (Tender 2) Freightliner / General, also ran as Tender 2 & Tender 4242. 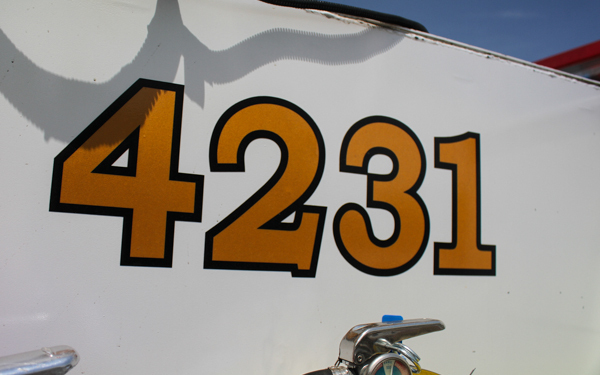 Freightliner / General, currently running as Tender 4242.